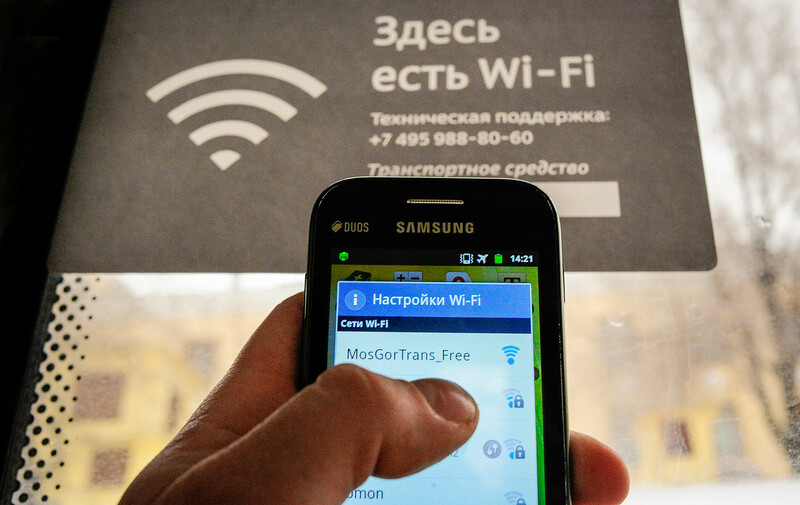 We have good news for you: It’s easy to find free Wi-Fi all over Moscow. You can pick up signal is some unlikely places as well. Here’s everything you need to know about connecting to the web in the Russian capital. You’ll have to log in and confirm your identity first. 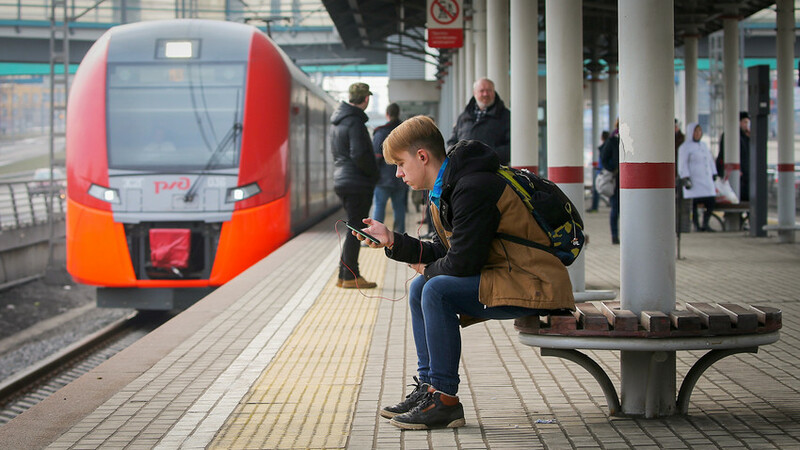 Moscow’s public transport system has reaped the rewards of the Wi-Fi revolution, with free internet available on buses, trams, trolleybuses, the metro, and many suburban trains. The Moscow Central Ring (MCR) is also wired up to wifi. You’ll have to log in and confirm your identity first, which is required by Russian law for all public Wifi - but you only need to do this once before surfing until your heart’s content. Type in your country’s telephone code and your mobile telephone number. You will be asked to go through the procedure as soon as you access MT_FREE on Moscow’s transport system, and you will automatically be transferred to wi-fi.ru. An SMS will immediately be sent to your number with a four-digit code. Type it in. After the identification process open your browser and press the CONNECT button. That’s it. The only thing you need is a telephone number (it does not have to be Russian). Without one you will not be able to connect. Wifi on the street is another win-win solution. Wifi on the street is another win-win solution. Within the Third Transport Ring (TTR) there are more than 1000 hot spots on city streets and even on two bridges: The Bolshoi Kamennyi and Bolshoi Moskvoretsky. 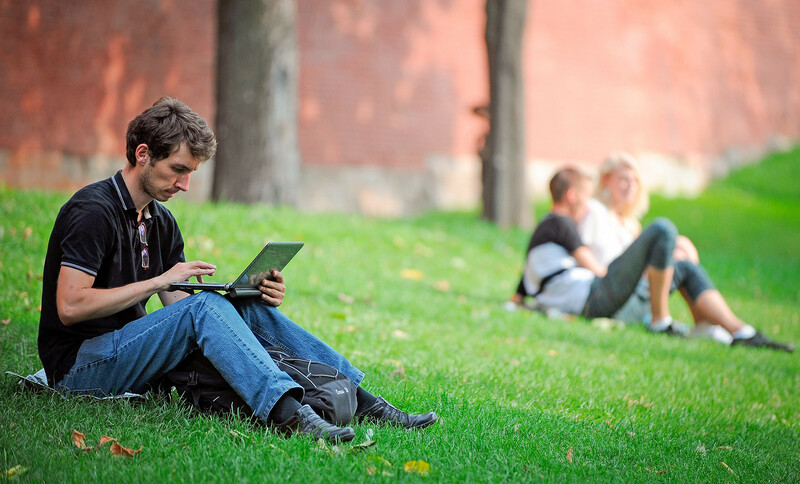 So if you’re in downtown Moscow, you’ll be able to find free internet practically everywhere you go. The interactive hotspot map will show you the areas in Moscow offering free wifi, which are marked with a red sign. Connect while dining. Grab a coffee or sit down for a feast and surf the net. Sometimes you’ll need a password so just ask the waitress or waiter. Whatever you do, never buy Russian SIM cards from unofficial sellers. 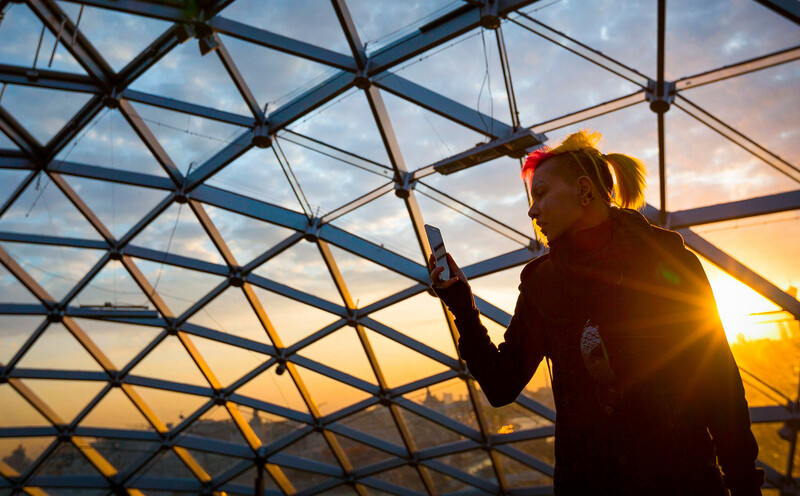 Millions of Muscovites connect to public wifi on a daily basis and all providers claim that your data is protected and encrypted. However, opportunistic hackers can steal your data by setting up fake networks masked as public points so be vigilant. To prevent this from happening, cyber security specialists suggest avoiding suspect networks (always look at the name before hurriedly connecting), using VPN services (they are not prohibited in Russia), and if possible, mobile internet. Whatever you do, never buy Russian SIM cards from unofficial sellers. Cards must be registered along with your passport at communications outlets. There are many tariff packages with cheap internet including Beeline, MTS, MegaFon, and Tele2.